Anyway that is not the point i am trying to make here today. What i would like to discuss with you all is how much insulation do you actually need to buy to insulate your chosen room. Its simple really. You need to measure how many square meters the room actually is, remember i am only talking about walls here not the ceilings. First thing you do, if its a square/rectangle room, is measure the width x length. Now say for example your bedroom is 6 metres long x 4 metres wide and the ceiling height is 2.7 meters high, a big bedroom hey, well then to get the square metres of the room you would add together 6 x 4, the room length and width, then x 2.7 the room height. So that would be 6 x 4 x 2.7 = 64.8 square meters. That will give you the total square metres for your walls in your bedroom. If you want to insulate the ceiling also, then you only times together the walls which is 6 x 4 = 24 square meters. 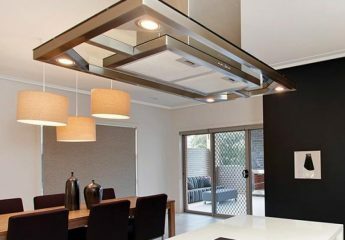 For this example only we will stick with walls only, most people leave there existing ceiling and renew the walls only. So after that calculation you need 64.8 square metres of insulation. This is great because when you buy insulation there is a sticker on the bag telling you how many square meters that bag will cover. See picture below. You see on the bottom there the coverage is 4.5m2, well that is the only information you need to know to work out how many bags to buy. So for this example, mind you this insulation is the expensive soundbatts not the normal r2.0 wall batts, which have a much bigger coverage area per bag, we would divide our room by the coverage area of the bag. Now lets calculate that: 64.8 square metres is your room and the coverage per bag in the photo is 4.5. SO 64.78/4.5 = 14.39. So for this example you would need 15 bags of the expensive R2.0 soundbatts to do the walls only in your bedroom. But that is if you use soundbatts because there is not as many per bag compared to normal R2.0 wall batts. I think from memory there is 6 per bag in sound batts and there is 22 per bag for normal batts. Oh and if your not in a store to look at the bags, just get the rep to check the square meters it says on the bag of the insulation you want and you can do the math at home. Feel free to follow my blog to get my latest posts. This post really helped me to calculate the quantity of insulation I would need to cover my room and to protect the plasterboards.